I only make and serve well-done burgers for food safety reasons. Pathogenic bacteria are just too common in ground meats. But they can be dry, so use a panade or grind your own meat after treating it. 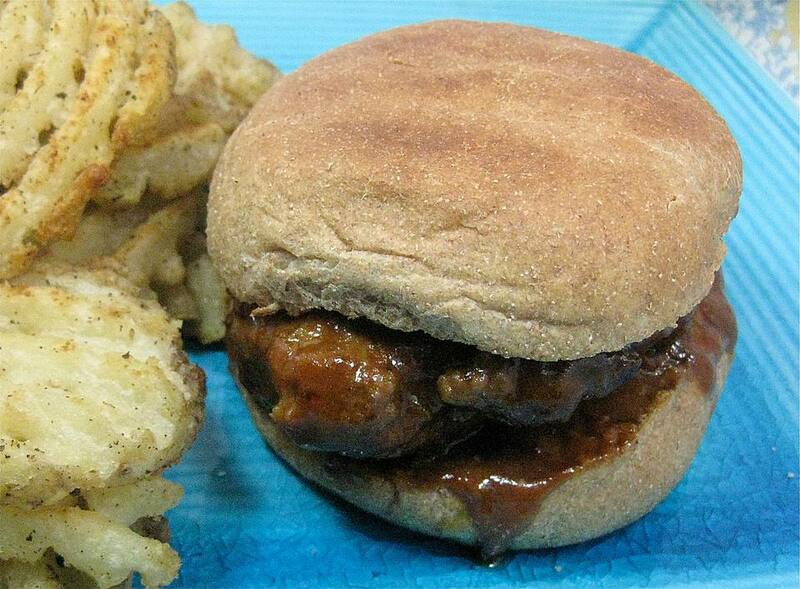 Or make this delicious recipe, which bakes the burgers in a spice sauce so it stays moist and tender. All you need with this recipe is some split and toasted hamburger buns, but you can certainly add lettuce, sliced tomatoes, avocados, or any of your favorite burger toppings. In a large bowl, combine the bread crumbs and cream; mix well and let stand for 5 minutes. Add the salt, pepper, and steak seasoning and mix well. Then add the ground beef and mix with your hands, gently, until just combined. Form the beef mixture into 6 patties. In a 13 x 9" pan, combine the barbecue sauce, ketchup, Dijon mustard, and Worcestershire sauce and mix well. Add the hamburger patties and turn gently to coat them with the sauce. Bake the burgers for 27 to 35 minutes or until the meat registers 165 degrees F on a meat thermometer. Place the patties and some sauce on each split hamburger bun and serve immediately.